Let's get together for a party night in the center of the old town in Luxembourg! 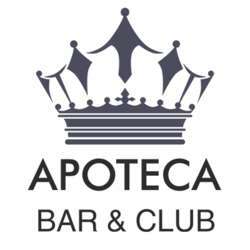 Hidden away in the heart of the city, Apoteca Bar & Club offers all of the best aspects of nightlife with elegant decor under vaulted stone ceilings. It is the perfect place to unwind with a mix of classic and modern cocktail concoctions, an original bar menu, and a seductive blend of music spun by savvy DJs. *PLEASE NOTE THAT ONLY ALBATROSS MEMBERS ON THE GUEST LIST WILL BENEFIT FROM FREE ACCESS TO THE EVENT, the guest list will be closed after 1 PM on the event day*.